​Tickets online only through AirBnb! The Tim Clarkson Trio is an intimate band with bite to their playing. They bring together elements of music often at odds with each other: their compositions can be rhythmically and melodically intricate, but in spite of this a sense of groove, melodicism and quirky playfulness permeates the band. With a sense of space and occasion, it is music that gets both the head and the heart, not one at expense of the other. Clarkson has a unique approach to saxophone-bass-drum trio which shares roles, often turning elements of the music on their head, with bass and drums often at the forefront. Audiences are always delighted and surprised at their musical twists and turns, and the stories they weave. They have toured nationally and their 2013 release “Land of Free Men” has been heavily featured on ABC Radio. 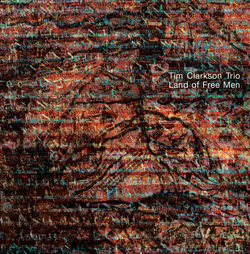 Now in their 7th year, the Tim Clarkson Trio sounds like no-one else. A unique blend and balanced counterpoint between bass, drums and saxophone, intriguing compositions and rippling rhythmic flow. The evolution of this group has tracked the development of three very individual voices through their trajectory performing internationally into a tight-knit and virtuosic team with a unique place in Australian jazz. "Land of Free Men" on Dangerous Music Records is the brilliant follow up to their 2010 release, "CRAB". One of the signature Australian Jazz releases of 2013. "Evolution of Beauty" - Available for purchase with PayPal, on iTunes and CDBaby. and Dan Weiss (David Binney, Wayne Krantz) in one five and a half hour session. The album features original compositions Clarkson, and three by Mcall. You can hear each tune evolve and unfold as they explore and capture the essence of the compositions and forge new paths through the music. The result is fresh, vibrant and at times delicate with a focused energy from start to finish. An amazing combination of loose and tight all at the same time. The beautiful photographs of acclaimed Australian Photographer Adam Monk highlight the stark beauty of the Australian landscape that inspired Tim’s compositions on this truly international album.